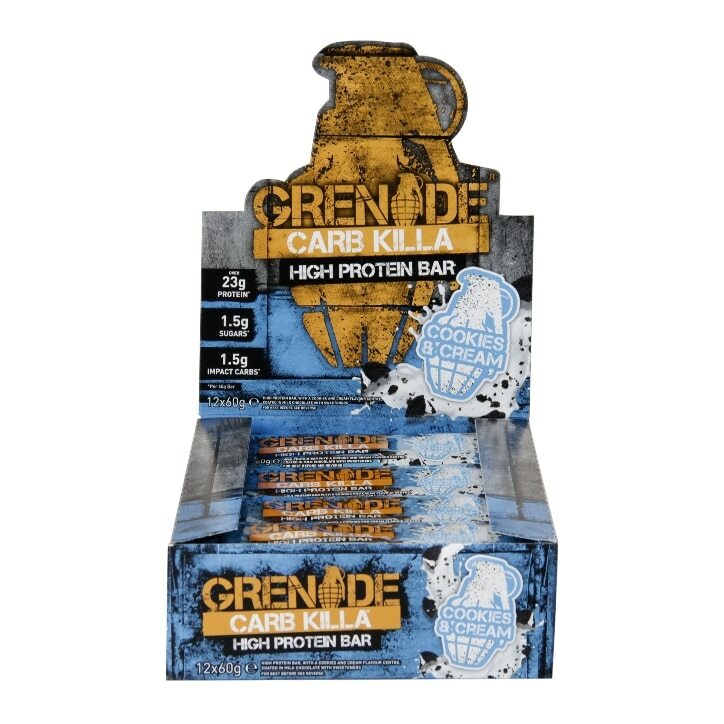 Grenade Carb Killa Bar Cookies & Cream is rated 5.0 out of 5 by 19. Rated 5 out of 5 by Glutenfreelady from Yummy flavour Bought a job lot of these bars and glad I did as they are so nice! Rated 5 out of 5 by Cassysss from Tasty I bought these last month to try and up my protein intake on the go and was surprised at how tasty they are! Well worth buying in bulk for the cost. Rated 5 out of 5 by Filthy4 from Delicious! Bought a box of these a lot cheaper than you can get in normal stores. Delicious, with high protein amount and low sugar compared to competitors.